The week is getting off on just the right foot for the folks over at Plaid Technologies, who are announcing $44 million in new funding. San Francisco-based Plaid was founded in 2012 with the vision of making the world a better place for FinTech firms by providing easy infrastructure to connect FinTech innovators with their clients’ bank accounts. Plaid’s APIs allow developers to build financial services applications by providing high-quality transaction data to bank accounts’ authentication tools and comprehensive analytics to reduce fraud. Or, said more simply, Plaid provides an API layer that sits between banks and FinTech innovators who want to access bank account information for what they are doing and makes the connection possible. It has attracted some pretty high-profile names to its service suite, including Venmo, Gusto, OptionsHouse, TransferWise and Charity Water to connect with their users’ bank accounts. And if Plaid gets its way, that list is about to get longer, as the firm has just snapped some some new funding that is earmarked for further expansion. Plaid Technologies announced Monday (June 20) that it had secured $44 million in funding courtesy of a round led by Goldman Sachs Investment Partners. Plaid CEO and co-founder Zach Perret explained that the company planned to use the new capital to continue to scale the company’s operations, and in a longer Q&A with PYMNTS, Perret outlined how Plaid reached its current position and exactly where it plans to go next. Approximately how many people would you say were involved in the development of Plaid? When we started working on Plaid, we were just two people — myself and my co-founder, William Hockey. We’ve grown very quickly over the past few years, and now have a team of 40. What would you say was the biggest hurdle you had to overcome prior to Plaid’s April 2015 launch? Plaid sits in an interesting space with a huge number of technical challenges. Our product sits at the core of thousands of financial technology applications, and as such has to be able to handle huge scale very efficiently. We founded the company in 2012 and stayed in private beta until April of 2015, during which time we worked very closely with our early customers and partners as we expanded our platform and functionality. We originally started Plaid out of our own frustration with the lack of a data layer in financial services — we were previously trying to build a FinTech app ourselves, and realized that any product we attempted to build would be limited by the underlying data infrastructure. What would you say is the most innovative feature or aspect of Plaid? One of the most exciting trends we’ve been seeing over the past few years is the shift of financial applications to mobile devices instead of web. 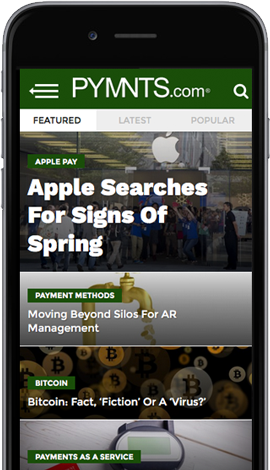 We’ve spent a great deal of time optimizing our platform for mobile — both in terms of the user signup flow and the data availability — and have seen a huge shift of FinTech apps to mobile-first or mobile-only. What improvements have you made to Plaid since it was launched? Also, were the changes made due to feedback from consumers? Tons! We deploy many times each week, and we are constantly in contact with our customers to understand what we can do better and how we can help them build the best possible experience for their end customers. How did you go about handling the fundraising effort? There’s no real trick to it. We just told an honest story about what we’re building and why we need it. Plaid has made incredible progress over the past few years, mostly due to the hard work of our team. The fundraising process was simply a reflection of that work and the excitement about the financial technology market in the years to come. Roughly how many investors contributed to the $44 million round? Goldman is leading the round, and our major existing investors, including NEA and Spark Capital, also participated. How much has Goldman Sachs agreed to contribute to the cause? Unfortunately, we’re not disclosing the specific breakdown of the investment. How long did it take to raise $44 million? We were very fortunate to have a quick fundraising process. It was a nice reflection of the confidence in the overall financial ecosystem we’re building. We had a lot of engagement and interest, and the round was significantly oversubscribed. From a percentage standpoint, how do you plan to allocate the $44 million? We don’t have a percentage breakdown of how we’ll allocate the funds, but our goals include expanding our team and expanding internationally, though we don’t have a concrete timeline on international yet. Where do you hope Plaid will be a year from now? Also, have you established longer-term goals for Plaid? We’re planning to grow significantly in the coming year. In addition to being this core data infrastructure layer, we’ll continue to deepen our analytics product offerings, which are designed to help address some of the major challenges in the financial system around risk and fraud. We’re also encouraged by all the collaboration that’s been happening in the financial services industry recently, and we expect that to continue for the benefit of everyone, from financial institutions to startups to consumers.